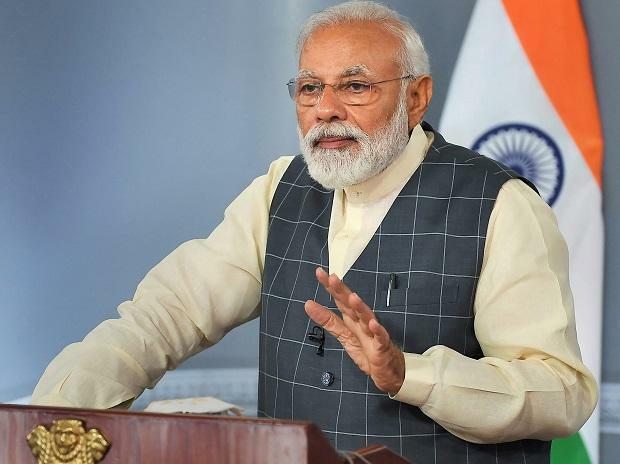 Prime Minister Narendra Modi on Saturday again hit out at those seeking proof of India's air strike in Balakot, Pakistan and slammed the previous Congress government for its handling of terror incidents post-26/11 Mumbai attack. Addressing a public meeting in Greater Noida, Modi said the corrupt are opposing and abusing him in order to get votes. Modi, who became prime minister in 2014, said today India works on 'nayi reeti, nayi neeti' (new methods, new policies), asserting that after the terror attack in Uri (J-K) in 2016, the country for the "first time taught terrorists a lesson in a language they understand" with surgical strikes. "Is it okay for you (the people) to have a government that does nothing? A chowkidar (referring to prime minister) who sleeps?," he asked the gathering of thousands. Modi said the country should have responded to the Mumbai terror attack during the term of the previous Congress-led government. "There are reports that our forces were ready to avenge the terror attack even then, but Delhi was cold. The forces were not allowed to take any action,” he said. "After Uri, proofs were sought. Our soldiers did something that has never happened before. Our soldiers struck terrorists inside their home. Terrorists and their guardians had not expected such action. They thought if India once did a surgical strike, they would again do something similar. So they had deployed forces along the border, but we went by air this time," Modi said. "They were thinking they can keep wounding India, wage attacks, proxy wars and India would not respond. The reason that enemies of India had this thought was (because of ) the attitude of the 'remote-controlled' government prior to 2014. That is why they (enemies) could nurture this attitude," the prime minster said. He said some politicians are making controversial statements which elicit applause in Pakistan and asked the people to identify such persons and decide if they want to trust them or not. "Aaj har bhrasht ko Modi se kasht hai (Today every corrupt has a problem with Modi). There is a competition among them to abuse this chowkidar (watchman), they think abusing me will get them votes, Modi said. "They (opposition) have turned so hopeless that in their stubbornness to oppose Modi, they have started opposing the nation also," he said, after inaugurating and laying foundation stone for multiple development projects. The prime minister while addressing a public meeting in Ghaziabad on Friday had also slammed rivals' questioning the air strikes and said the "trust of 130 crore people" was his proof to them.